As soon as Halloween is over — or sometimes before — it seems that our focus shifts directly to Christmas. We become so wrapped up in shopping for gifts, planning Christmas parties, decorating our homes, and putting together the perfect, most impressive dinner, we nearly skip over truly celebrating Thanksgiving entirely. Rather than thinking of it as the unique, special holiday that it is, many of us end up throwing a Thanksgiving dinner together at the last minute or just doing the same thing every year to keep things simple and not have to think about it much, since — after all — most of us are already thinking about Christmas. Maybe this should be the year that you switch things up, bring Thanksgiving to the forefront, and host a holiday dinner that will impress your guests and remind them that we all have so much to be thankful for. For example, we can be thankful that we live in an area where an outdoor Thanksgiving is even a possibility. Hosting your gathering of family and friends outdoors this year is a great way to change things up a bit and maybe even start a new tradition. 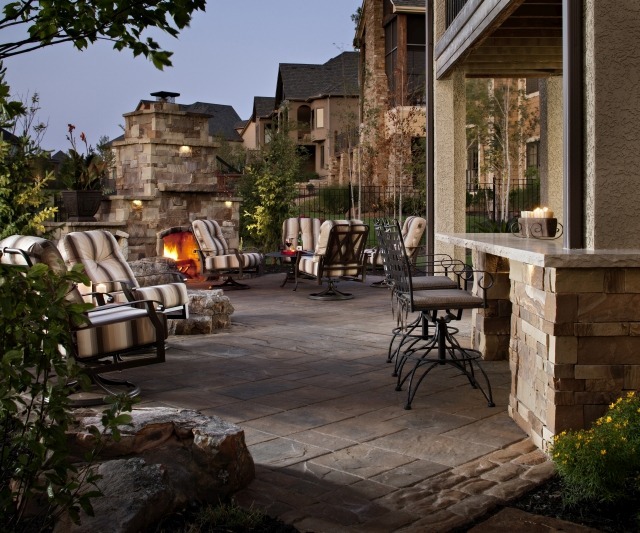 If you plan to use your outdoor living areas to host Thanksgiving this year, here are seven tips to help you make this fall holiday unforgettable. One of the most important parts of making sure your outdoor Thanksgiving is a success is having a back-up plan in case the weather does not cooperate. If it begins to rain heavily or the temperature drops too much, your outdoor family meal may need to quickly become an indoor affair. As any good host or hostess knows, it is best to be prepared for such possibilities so that you can seamlessly move to your back-up plan without skipping a beat. Ideally, you would prepare in a way that allows you to be able to transition your party indoors quickly, efficiently and in a manner that your guests will hardly notice and that will not slow down the momentum of your soiree. Of course, moving to a back-up plan that smoothly rarely happens, and it is far more likely that you will be asking your guests to grab their chairs and run inside as it begins to rain. If this happens, try not to stress over it too much. This can make for a memorable event that you can all laugh about next year. The important part is having the back-up plan so that you can put it in motion, if needed. Your back-up plan should include preparing a space large enough to accommodate the number of guests you are expecting, as well as a table, island or counters that are cleared and ready to hold the food. Enlist the help of a few of your guests beforehand so that they know their roles and the game plan if the gathering needs to quickly move indoors. If you are keeping pets indoors to keep them away from the party, make sure they are not locked in a room that you will need to use if you move your outdoor Thanksgiving indoors. 2. Create a plan for keeping your food warm. It is simply more difficult to keep food warm when it is served outdoors in colder weather. If you are hosting a larger gathering, your best bet will likely be serving your Thanksgiving meal buffet style in chafing dishes. You can also serve the food indoors and have your guests carry their plates to the patio to dine, but this may make your event feel too casual and less organized. If you are hosting a group of close friends and do not mind a casual atmosphere, serving inside and dining outside is a more convenient option that allows you to avoid some outdoor setup, carrying heavy serving bowls and platters outdoors, and bringing everything in after the meal. If you prefer that your gathering retains a bit more formality, using chafing dishes on the table or in a buffet-style setup is going to be your best bet for keeping your food warm and your guests happy. Of course, there is always the option of hiring a serving staff for the evening if you would like your event to feel even more formal, but most folks like to fill their plates with their favorites and easily go back for seconds, so this super-formal option may be a bit more than necessary (unless you have a very particular guest list). 3. Plan for the possibility of bad weather. Hopefully, you already have come up with a back-up plan after reading tip #1, so you are all set if the weather gets bad enough to force the party indoors. However, the more prepared you are for cold or inclement weather, the less likely you will need to rely on your back-up plan. A simple, inexpensive set of patio curtains can help block wind or light rain and can also make it easier to heat your patio. If you do not have a covered patio, you can purchase a canopy to serve this purpose, but portable canopies are generally not as sturdy in wind and may not hold up as well in bad weather. On the plus side, some higher-end canopies have heavy posts and come with patio curtains, which can make it easier to turn your deck or patio into a covered entertaining area. 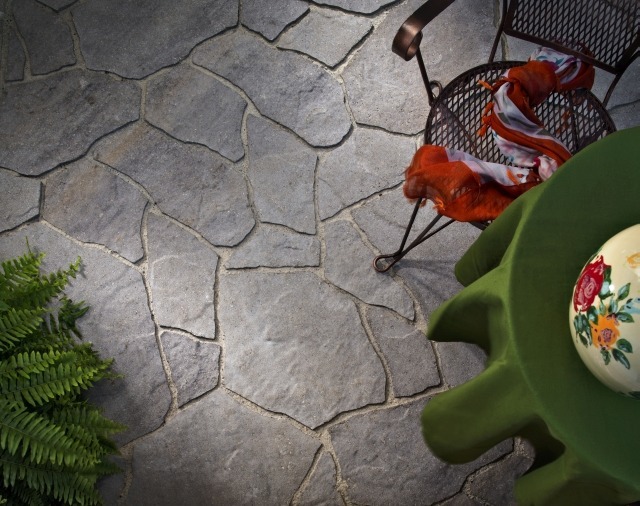 Some can even be attached to your patio or deck to make a more permanent structure. 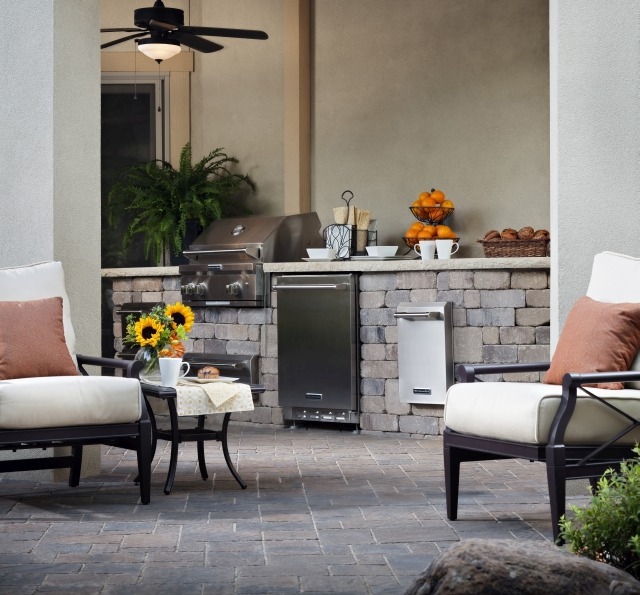 You will also want to consider renting or buying patio heaters for use while entertaining. If you have time, you might also consider covering any bare patches of dirt with gravel or wood chips and make sure your walkways are in good condition to avoid your guests walking in the mud. 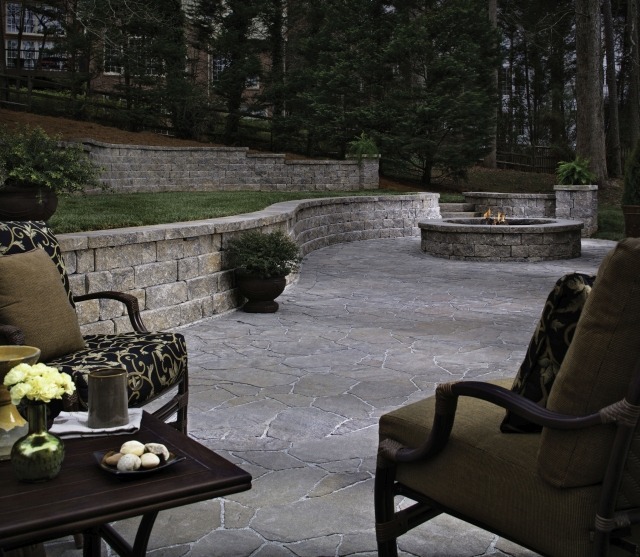 A slip-resistant paving stone patio and mud-free artificial grass are, of course, ideal for homeowners who entertain often, but if you found this post while searching for outdoor Thanksgiving tips for this year, you might not have time to install one or both of these options before it rolls around this year. However, these home improvement projects should definitely be on your list in the coming months to help you prepare for a fantastic Thanksgiving next year. 4. Plan for proper lighting. Once we turn our clocks back and the days start getting shorter, proper lighting becomes an integral part of party planning. Candles make great additions to Thanksgiving centerpieces and can help set the mood and provide soft lighting for your gathering of family and friends. While you may light some citronella candles around your patio to ward off pests during your holiday gathering, it is best to opt for flameless, unscented candles for your table. Flameless candles will continue working just fine if the wind picks up and will not spill wax or start a fire if someone knocks one over. Since it will be getting dark early, you will likely want more than just candlelight providing light for your guests. String lights are an inexpensive, easy way to create a great atmosphere for entertaining, while table lamps are an effective choice if you want to create an indoor feel for your outdoor party. Many families have holiday meals much earlier in the day than their typical dinners, and this is a particularly effective strategy for fall and winter holidays. Starting early allows you to take advantage of having more daylight and a higher temperature, since once the sun dips below the horizon, the temperature can drop rather quickly, and those shorter days give way to the dark of night. If you start your outdoor Thanksgiving between 1:00 and 3:00, you will have plenty of light during dinner, your guests will likely be warmer and more comfortable, and you might even have some extra help cleaning up and doing the dishes, since folks will not have to be in quite such a rush to get home at a decent time. 6. Prepare your outdoor living areas. You need to prepare your outdoor living areas for any social gatherings you have throughout the year so, really, this one is not specific to Thanksgiving. But Thanksgiving is certainly one of the times you will want to do it. Before your guests arrive, refresh mulch or gravel ground covers, clean your artificial grass, deadhead your flowerbeds, and finally carve out the time to remove the dead plants and vines left over from your spring garden. 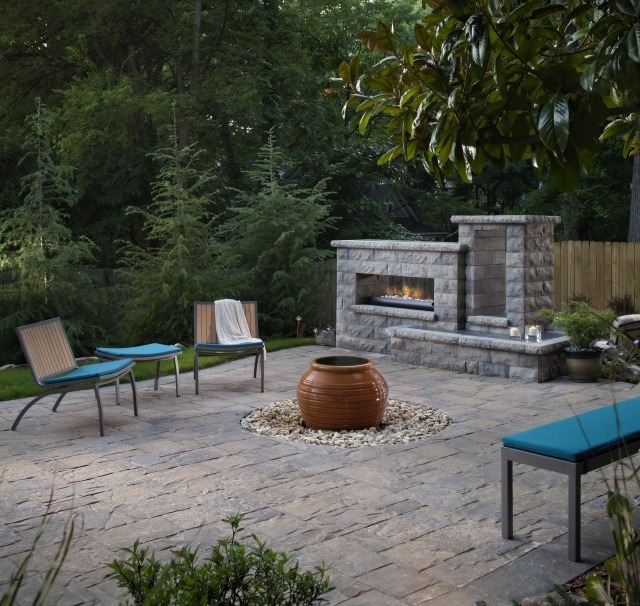 This is also a good time to give your fireplace or fire pit a good cleaning and a safety check, look for any solar lights in need of repair or replacement, and consider adding a rug to your paving stone patio. Hosting Thanksgiving dinner outside will already make it a more memorable event, but this is your chance to change things up even more and give your guests a new, unique experience. Maybe you could try changing up how you cook your turkey or other parts of the meal, such as smoking your turkey, grilling it, or cooking it on your enclosed grill much like you would in your oven. Another idea would be to put together an activity that allows each guest to express what they are most thankful for or to make the kids’ table a particularly fun place to hang out with craft projects and games. Use some washi tape or stencils to customize to-go bags or boxes for sending leftovers home with your guests. If you have old movies that will be mostly endearing but maybe just a tad embarrassing for your family members or friends in attendance, you might also consider setting up a backyard movie screen to show home movies or a slide show of old pictures while dining al fresco. Have you hosted an outdoor Thanksgiving? What are your favorite tips for making it a success?